The final month of the year is always the busiest. From the hustle and bustle of holiday shopping and parties to binge-eating, December flies by. As part of your celebration, find time in your hectic schedule to fit in a few of these fun, family-friendly activities. Handmade Arcade, Pittsburgh’s ultimate source for arts and crafts, is back for its 14th year! 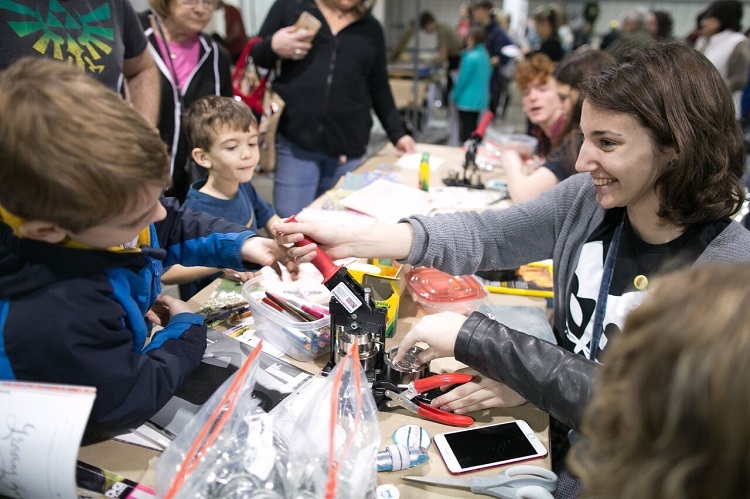 Not only can you buy one-of-a-kind gifts at the Dec. 8 event, but you and your kids can make them at the Hands-on Handmade activity area. Led by local makers and non-profit organizations, the free projects range from bookbinding, metal stamping and silkscreening to mosaic glass creations and quilting. This is your chance to act like an elf and make something for someone on your “Nice” list. Kraynak’s store, a Hermitage landmark since 1949, transforms into a holiday spectacle twice a year. Amid their gardening supplies, toys, candy and collectibles, Santaland suddenly appears. Open now through Dec. 31, it features a dazzling display of decorations – including life-sized animatronics – that customers can walk-through free of charge. Can’t make it this Christmas? No worries: Visit Easter Bunny Lane this spring. Brookline Teen Outreach’s family- and pet-friendly event, Shots with Santa, allows kids of all ages to celebrate the season. In addition to a photo op with jolly ol’ St. Nick, there will be food, crafts, activities, holiday movies, dog treats and adult beverages. That includes spiked hot chocolate and Jingle Juice, a beer luge and shot ski! Admission is $5 and children get in free with a paying adult. “The Nutcracker,”a holiday tradition since 1892, is getting a remix. 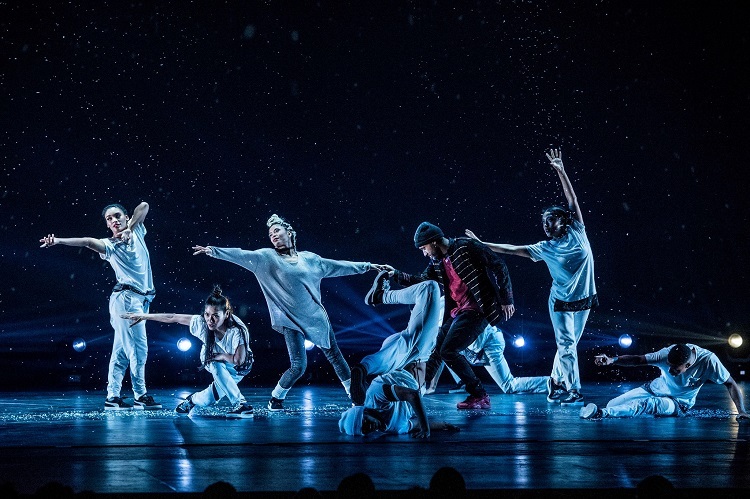 Tchaikovsky’s ballet has been adapted for a 21st-century audience with high-intensity dance moves, an urban backdrop and a DJ. 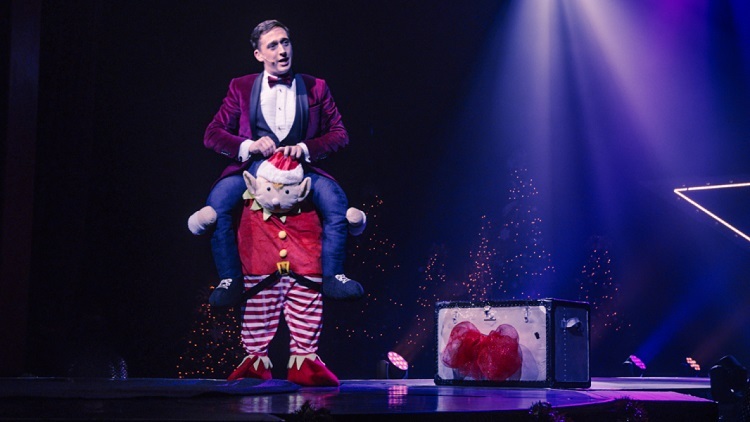 The nationally touring act will stop in Pittsburgh Dec. 11 and 12 for two performances. Has your pet been well-behaved all year? 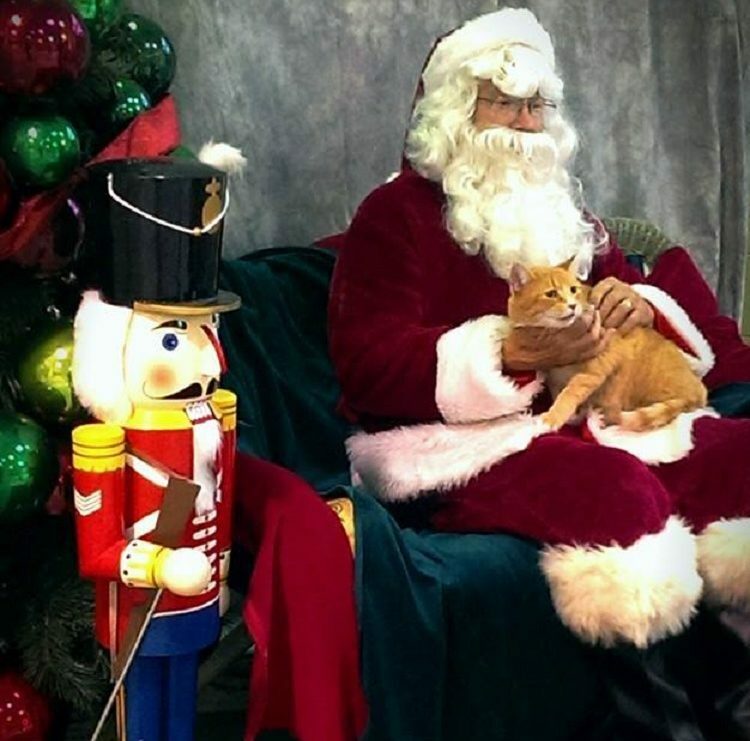 Bring the kids and take that four-legged family member to Animal Friends on Saturday, Dec. 8 to see Santa. The jolly ol’ elf will be on hand from 10 a.m. to 4 p.m. to take pics with creatures big and small, as long as they’re leashed or in a carrier while they wait in line. For $10, you’ll get three 4-by-6-inch prints, with all proceeds benefiting the no-kill shelter in Ohio Township. Photo courtesy of South Hills Jewish Community Center Pittsburgh. On Saturday, Dec. 8, the South Hills Jewish Community Center will be open to the entire community for an evening of family fun and fellowship. There will be a menorah lighting, “dive-in” movie at the swimming pool, dreidel tournament, obstacle course, karaoke and a DJ, as well as a quiet corner for sensory activities, crafts and stories. Folks can sample an array of food and beverages, including a pasta bar and latkes. Photo courtesy of the Gateway Clipper Fleet. Santa Claus is ditching his sleigh for a riverboat. 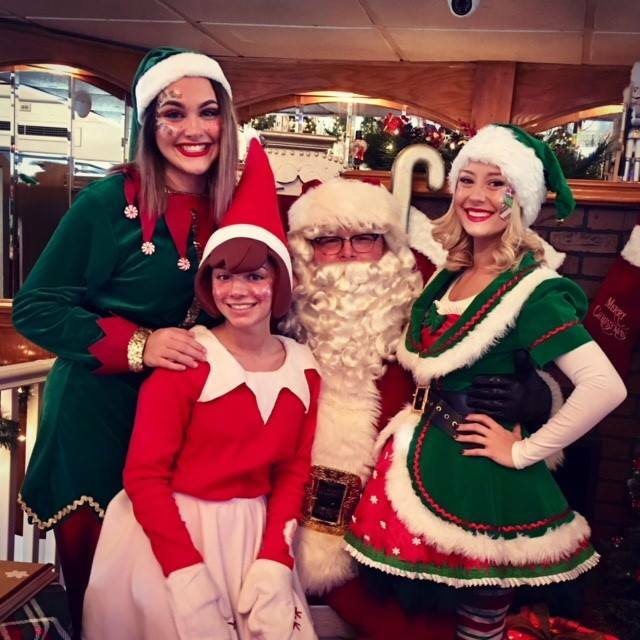 Come aboard the Gateway Clipper Fleet’s Santa Fun Cruise for a two-hour excursion down the three rivers. In addition to sightseeing, there will be a DJ dance party, snacks and refreshments, a full-service bar and other forms of entertainment. Kris Kringle sets said on Saturdays and Sundays through Dec. 23. Wet Bandits, beware! Kevin McCallister is coming to Heinz Hall. On Dec. 20 at 7:30 p.m., watch “Home Alone” on a giant, hi-def screen while the Pittsburgh Symphony Orchestra and choir performs John Williams’ holiday score. Ticket prices range from $25 to $105. Keep the change, ya filthy animal. If you don’t mind Jack Frost nipping at your nose, head to the Frick Environmental Center for a winter hike through the woods. Participants ages 2 to 8 years old (and their parents) will join a naturalist educator in reading “No Two Alike” by Keith Baker as they investigate the differences between trees, leaves and other objects found in nature. The snowy stroll, which runs from 10 to 11:30 a.m., is free, but registration is required. Photo courtesy of A Magical Cirque Christmas. The post 10 family-friendly events you shouldn’t miss in December appeared first on NEXTpittsburgh.